The question of whether binary options is trading or gambling has often been asked and widely debated. The answers of course range from arguments that explicitly label binary options as gambling to other, equally valid, answers that label binary options as trading. So, which of the above two is right? 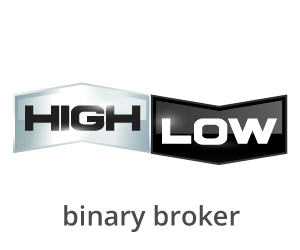 The answer to whether binary options is trading or gambling greatly differs from one person's perception to another. In most cases, those who don't like gambling in general would prefer to label anything that has to do with speculation as gambling. This involves not just binary options, but forex as well, and even other markets, such as futures, where speculating on the commodity is rife without the trader doing anything with the underlying security in question. In its most extreme, this argument dubs almost everything as gambling. Even the sincerest form of trading, investing in stocks, can be perceived as gambling in one form or another. At the end of the day, it comes down to the trader and how he or she approaches binary trading, or for that matter, financial trading in some form. Taking a blind guess at the markets or not having a good trading plan are just some of the ways binary options can be similar to gambling. However, making an informed decision, studying the market landscape, and following a strategy are some of the skills required that can classify binaries more as trading than gambling. According to Merriam-Webster, gambling is defined as playing a game for money or property and/or betting on an uncertain outcome. Interestingly, the definition of gambling is closely correlated to the financial markets. The outcome of a trade is by no means certain! Regardless of how good your analysis is, every trade has a 50% chance of it either behaving as expected, and thus earning you a profit, or ending up a loser, costing you money. In a way, and in the strictest terms of the word, investing as a whole is gambling. There is no certain outcome when you invest money by buying stocks in a company. The company's share price does not offer any guarantees that it will make a profit for the investor. But what if a trader continued to trade only when he or she knew that the trade had a higher probability of a certain outcome. Certainly, you can’t call this gambling, can you? There is a widely known statistic in trading circles that only 10% of binary traders actually make a profit in the long run, and the remaining traders end up losing money. While the basis for determining the exact number might differ, and is a different argument in itself, the main take away is that the majority of traders, be it forex or binary options, aren’t successful traders. There are a number of reasons. The most common reasons why many traders fail include greed, inexperience, unrealistic expectations, and not knowing what they are doing. In most cases, it is evident that the majority of traders who end up losing money are merely gambling! They are trading on an uncertain outcome without applying any technique or logic to the trade. Traders are also an impatient lot! Many people get into trading thinking that reading a few books, watching some videos, or reading some articles will make them a professional overnight. The truth is, just as one needs years of experience to excel in any profession, a similar amount of dedication is needed to excel at trading binary options. Sadly, not many traders give it enough time and expect they will churn a huge profit in a few months’ time. Despite the fact only 10% of traders are successful, most of these traders are long-term and have been in the markets for a considerable period of time. Sure, they have taken their fair share of losses, but the successful traders managed to learn from their mistakes and continued to push along. The obvious question is how can one be profitable in binary options trading. For starters, a clear expectation of the landscape is required. Forget the idea that you will make your $100 into $200 by the end of the week. Such ideas best belong in the banners of a binary broker’s advertising campaign. Sure, you might be able to double your money every now and then, but the markets will no doubt keep coming back at you, taking the profits you made. For traders who are serious about making it to the 10% club, here are some tips to bear in mind. Understand what you are trading/speculating on. Interestingly, many traders don’t have a clue what they are doing. Sure, it makes sense to purchase a CALL option if you think that an asset’s price will rise. But trading without knowing the reason behind the price increase can be a big mistake and can cost you money. Be disciplined. This can’t be stressed enough. Being disciplined can go a long way in trading and can be directly responsible for your success. Whether it’s knowing when to trade and when not to or when to cut your losses, it all comes from a disciplined approach to trading. Don’t double down on a trade. Most traders tend to trade, at times, on a gut feeling. In many cases, this is caused by a losing streak, and the trader grows impatient to make a profit. In times such as these, doubling down on the bet can be risky. For one, the trader hopes he or she can realize a significant profit. However, in most cases, the trade could result in a big loss, instantly wiping out all his or her capital. This is nothing but gambling. Have a trading strategy and stick with it. Many traders just keep hopping from one trading system to another, seldom giving themselves enough time to practice and become familiar with the trading system in question. Following a trading strategy will ensure that you can trade wisely, knowing when to increase your risks with higher probability and knowing when to stay away from the markets. At the end of the day, what matters is that the trader in question has an understanding of the markets he or she is trading in and also knows the ins and outs of trading, including the risks that come with it. Not many traders become successful because they don’t have the right expectations and, more importantly, the right attitude toward trading. Remember, it is your choice: You can either blindly guess and speculate with binary trading, or you can be disciplined, follow a trading strategy and apply yourself to trade based on solid information and logic.